Repair works on the Reyers-Montgomery tunnel, which were due to begin today, have been postponed because of over-running works in another nearby tunnel. Authorities have decided not to go ahead with the planned 30 March closure - preferring instead to wait until the Reyers-Meiser tunnel is completed. It is being demolished and rebuilt. Work on the Meiser tunnel began in January and was due to be finished at the end of April. It will now be delayed a fortnight until 15 May. Reyers-Montgomery will therefore remain open until at least mid-May. Brussels Mobility said it would publish revised closure dates after the Easter holidays. Major roadworks are being carried out all this year on four of the six Reyers tunnels in Schaerbeek. The only stretch that is unaffected is the main Reyers-Schuman tunnel. 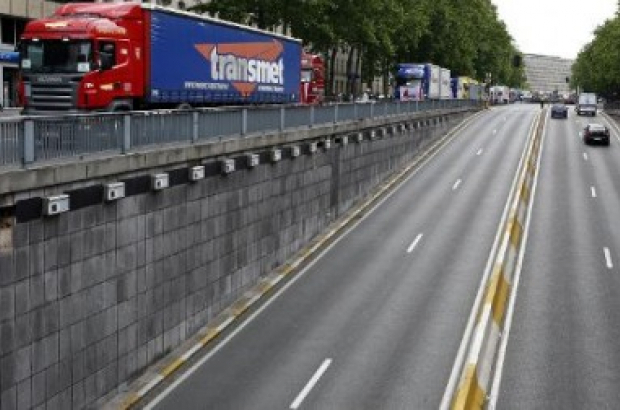 Drivers coming into Brussels on the E40 from Liège are being encouraged to follow the recommended diversions, via the Brussels ring and other main routes into the city. If all these roadworks go like all the others, I think we can count on them ending 6-12 months (or more) behind schedule. Has the work on Boulevard de la Woluwe (scheduled to finish in June 2017) ended yet? What exactly is 'main' about the Reyers-Schumann tunnel - and what does 'unaffected' mean? Has the author driven the tunnels into Brussels? Reyers-Schuman / Schuman-Reyers - presumably the author means E40-Schuman, Schuman-E40 - has a lane closed and a 30kph limit in both directions. If this is "unaffected" I'd love to know when they last used the tunnels..